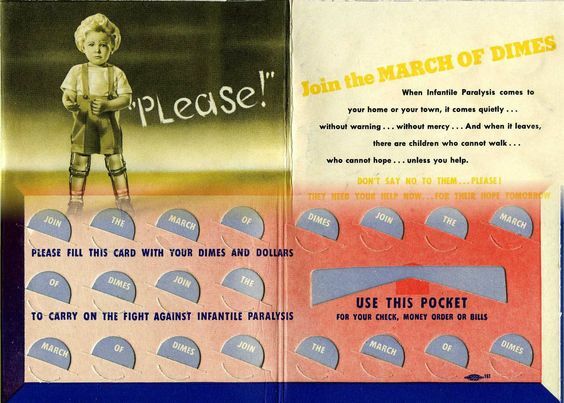 Short post, but for whatever reason, was driving along somewhere today, and something jogged my memory of the March of Dimes, or more specifically, the little folder we got at school (I think). It wasn’t exactly like the one pictured, I think it held more dimes for one thing, but also I seem to remember it being blue. I really just remember trying and sometimes succeeding in getting dimes insert into the little slits. I believe the charity used the dimes for Polio research, or similar to that. Anyone else have memories and pictures of that?